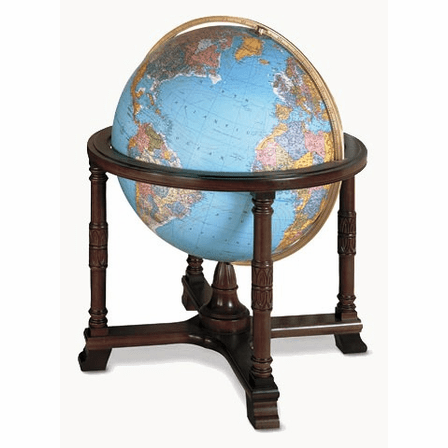 The Diplomat floor globe, by Replogles, has a 32' diameter, and is designed with a blue ocean background. 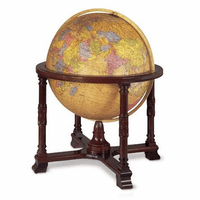 It is illuminated from inside by a 75 watt bulb, and is adjustable to 3 brightness levels by just touching the meridian. 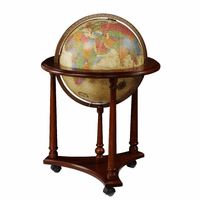 This magnificent globe features 28,000 place names on a hand-cut, hand-applied topographic map. 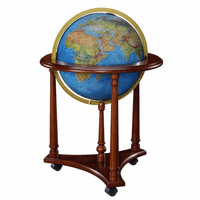 It is set in a handcrafted mahogany frame, and has four casters for smooth rolling. 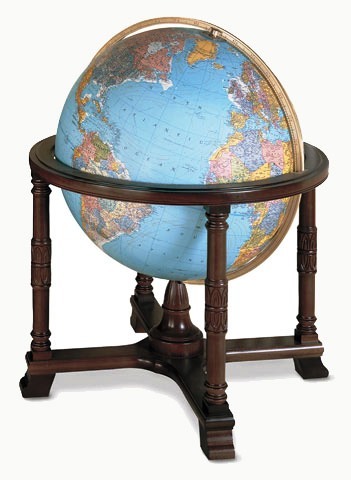 The hand-engraved and hand-calibrated meridian circles the globe. 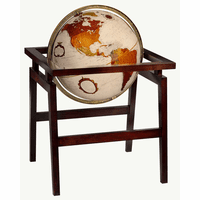 This globe is truly an artistic treasure for the office or home.